Addis Abeba, Oct. 11/2018 – Ethnic tensions and violent clashes and subsequent displacements of people in some regions of Ethiopia and around Addis Abeba have set off alarmist, if not distraught, reactions among political analysts, activists, and ordinary people. 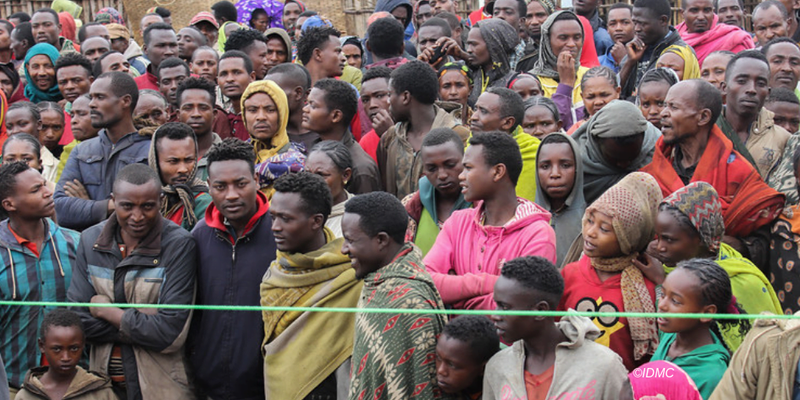 While for some these tragic events reveal the weakness of Prime Minister Abiy Ahmed’s government and the fragile nature of the reforms he introduced, for others they put into question the very survival of Ethiopia as a united nation. Still others blame Abiy and his government for not taking the necessary measures to stop the spread of violence, even though many of these violent disturbances were, so they say, inevitable once groups known for their extremist and aggressive ideologies were invited back into the country. The fact that the predicted extensive catastrophes did not take place should make us more appreciative of the relative peace of the country, even as it is undergoing critical changes. Not only serious reforms that bring together ethnic groups by reducing tensions are implemented, but also they take place in a legal framework that saves the country from resorting to a revolutionary upheaval. Recourse to revolution would have been fatal for the country, given its fragmentation along ethnic lines. The dissent within the previous OPDO (renamed ODP) that brought about ‘Team Lemma’ to leadership position, including Abiy to premiership, can be labelled as salvational in view of the likelihood of civil wars if the previous regime had to be removed unconstitutionally. What all this means is that if we are serious about building a diverse and democratic Ethiopia, we must be ready for a highly challenging task. And we cannot be ready unless we begin by accepting the inevitability of difficult bumps on the road to democratic governance. Once repression is discarded as a means to deal with political opponents, there remains the hard and patient way of working to generate consensus. The fact that repression is legitimately used only when it is clearly and legally established that a specific group has infringed existing laws may create the perception that the government is weak. The bare truth, however, is that such a belief emanates from a misconception on what it takes to build a democratic state. In the same vein, it is tempting to blame PM Abiy and his government for inviting extremist groups, but this view misses that it is little democratic to ban groups that opted for armed struggle when we know that their option was mainly caused by the lack of the possibility of peaceful protests and free elections, and that they themselves openly renounced the use of force. The core issue here is that we fail to ask the right question if we misconceive the social dynamics that takes place in Ethiopia subsequent to the rise of Abiy. An essential part of the complaint concerning stability, violent clashes, and displacements of people come from those who, having lost their hegemonic position, see no other way out than through the overthrow of Abiy. It is logical to assume that these people are the direct or indirect instigators of the conflicts. Vis-à-vis the political reality created by Abiy, they and their supporters are literally floating in the air, because they clearly see that their discourses and interests cannot fit into that reality. As a result, they can neither be with Abiy nor go on his left or right. Their only chance is violent disturbance and chaos so that they would appear as the party that will restore order and peace. Naturally, among their supporters, we find secessionist groups: for them too, chaos is conducive to the realization of their secessionist agenda, since the collapse of the central government will give them free rein to turn the ethnic fragmentation into separate states. As to competing political groups with moderate views, their problem is Abiy in that he is too big to the point of covering the entire political space. Consequently, these groups try to create new spaces for them by moving on the right or left of Abiy. Unfortunately, the quagmire here is that left and right politics run the risk of wrecking the unity of the country, with all the dire consequences that such an outcome would entail. Indeed, the first cannot avoid questioning the present ethnic demarcations of regions; the latter cannot but restore some form of ethnic dominance. In both cases, it is hardly possible to prevent dissatisfaction and the danger of civil war. In other words, the space taken up by Abiy is large because, in addition to holding in each of his hands one of the twin problems of Ethiopia, namely, ethnic demarcation and national unity, he is engaged in the task of pulling them together. To say that the political cards have been so shuffled by the reformist stature of Abiy that political parties have yet to find a credible place in the political spectrum is to point out the looming danger. Indeed, one thing is sure: the attempt to move to left or right compels political parties competing against the renovated EPRDF to espouse extremist political agendas, given the space covered by Abiy. Even moderate opposition groups are drawn to extremism, as shown by the recent spectacle of Oromo moderate political parties siding with more radical groups in their assessment of the violent clashes in some towns around Addis Abeba. In other words, the unintended consequence of the rise of Abiy is the danger that opposing Oromo groups (perhaps Somali groups as well) could be sucked into extremism just to find their niche in the political arena. 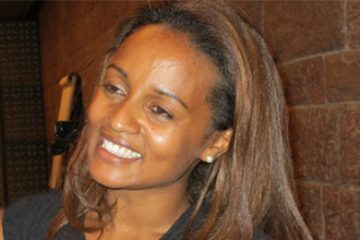 That is why I believe that a returnee leader of the EPRP, Mersha Yousef, expressed a sensible stand (an extremely rare quality for the organization) when he said in an interview to Addis Admas: “We are not at present preoccupied by the election. Even if the objective of any political party is to come to power by means of election, we want to do some prior work . . . . In particular, we will strongly work to prevent the reversal of the initiated change . . . . We support this change because it is good for the country” (loosely translated). Put otherwise, the best that political parties concerned with the welfare of the country can do is to protect and support the ongoing change so as to put it on a firmer foundation. Only after this job is done does it become safe and expedient to engage in the competition for power. Agriculture: Great expectations from Ethiopia’s Wheat Initiative. But what happens when results don't meet expectations?